Fun Fact: I was recently asked the difference between osmolarity and osmolality. And that's just not a good look for someone who considers himself a "pharmacy educator." So, this is a quick(ish) review of the differences between osmolarity and osmolality. This is a topic that gets pretty complicated if you let it. But "complicated" isn't exactly my style. Instead, I'll focus on the clinical implications of osmolarity and osmolality in humans. The reason for this is because (spoiler alert), we actually deal with real, live humans when practicing as pharmacists. Suffice it to say, your pharmaceutical calculations class will go into more detail than I will here. But a 10,000 ft overview will help you to brush up if you haven't done this in a while, or will help you learn the minute details when you go through it the first time. To kick it off, let’s review some background “sciency” stuff. 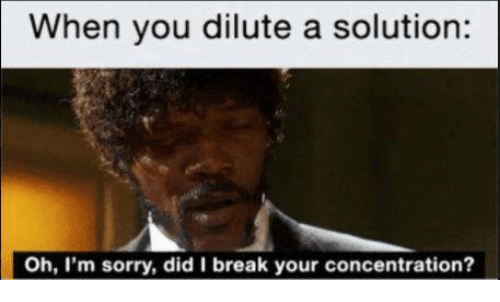 A solvent is a substance that can dissolve a solute. If you put sugar in your coffee, coffee is the solvent and sugar is the solute. Solutes are measured in weight (i.e. grams). Solvents can be measured by either weight (i.e. kilograms) or volume (i.e. liters). 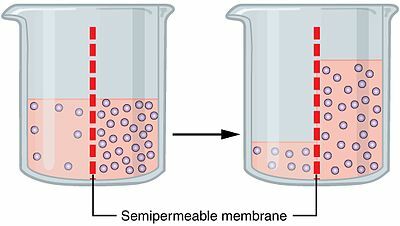 An Osmole is the unit of osmotic concentration. It's the number of moles of solute that contribute to the oncotic pressure of a solution. I'll go into more detail on this in a second. Osmolality is a measure of osmoles of solute per kilogram of solvent (Osm/kg). Using our coffee analogy, this would be grams of sugar dissolved in kilograms of coffee. Compare that to osmolarity, which is the measure of osmoles of solute per liter of solution (Osm/L). This time, we’re dissolving our grams of sugar into a liter of coffee. FWIW, I do not recommend drinking coffee by the kilogram OR the liter…but hey, pharmacy school is hard so I’m not judging. Also, I drink a lot of coffee. Probably more than you. I said a few paragraphs earlier that solutes are normally measured by weight. Is an osmole a measurement of weight? Not exactly. An osmole is the number of moles that a solute "contributes to the osmotic pressure of a solution." Remember from your early chemistry and biology classes that osmosis is the diffusion of water. Water travels from a low solute concentration to a high solute concentration in order to establish equilibrium. Osmotic pressure is what drives osmosis. It’s the force that pulls water from areas of low solute concentration to high solute concentration. Also remember that a mol is an amount that is specific to each substance. It’s a measurement of the number of atoms in a molecule. So a mol of NaCl is going to be a different “weight” than a mol of CaCl2. Mols are useful in organizing and predicting chemical reactions, so you will often see them used in chemistry and biochemistry. Let’s say we have a liter water containing 1 mol of NaCl. That 1 mol of NaCl corresponds to 2 osmoles of NaCl. Why? Because Na and Cl ionize completely. And each individual ion contributes to the overall osmotic pressure of the solution. Similarly, a mol of CaCl2 divided in 1 liter of water will have an osmolarity of 3 osmoles (because you have two Cl ions and one Ca ion that dissociate in the water). An easy way to figure this out is to look at the number of ions in a molecule. For most substances, that will give you the correct number of osmoles. This is the point where you will go into hundreds of more complicated examples in your pharmacy calculations class. But now that you (hopefully) understand the concept, I'm going to shift gears and talk about how we actually use osmolarity and osmolality in real live patients. The difference is subtle between osmolarity and osmolality. I mean there is only one letter different in the words. Osmolality is measuring the number of osmoles in a weight (kg) of solvent. 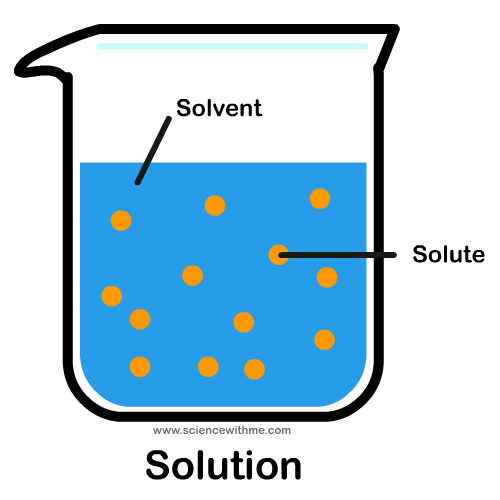 Osmolarity is measure the number of osmoles in a volume (L) of solvent. Do we use both in medicine, or do we prefer one over the other? The answer is "both," sort of. It's a little of Column A and a little of Column B. We actually measure the osmolality of a patient using an osmometer. We then use the osmolality to calculate the osmolarity. We don't measure the osmolarity of our patients directly. So if you see something hinting to that on a test, it's wrong. While we're on the subject of osmolality, I should also point out that we usually measure and use milliosmoles (mOsm) in humans, because we’re working with pretty small numbers. A milliosmole is just 1/1000 of an osmole. And for reference, a normal plasma osomolarity for humans is 280 – 300 mOsm/L. In medicine, we tend to use osmolarity instead of osmolality. Our blood is liquid, and we like to measure the amount of something per liter (or deciliter) of blood plasma. That makes more intuitive sense than dealing with kilograms of blood plasma. So more often than not, you'll be working with osmolarity when dealing with patients. But remember, you’ll be calculating (not measuring) osmolarity in your patients. This calculation skips the osmometer entirely. You just need a BMP and you can get a quick and easy calculation of serum osmolarity. First, you can see that the biggest determinant of your serum osmolarity is sodium (Na). You will hear many times in your practice career that “water follows sodium.” This is an example of this rule. I'll talk more about this in the next section. The second takeaway is that in humans osmolarity and osmolality are practically identical. There is only half a percent difference between them. For all intents and purposes, this means that we can consider osmolarity and osmolality to be the same clinically. You will often hear osmolarity and osmolality used interchangeably in medicine. You now know that this is technically incorrect. But practically they are close enough in most clinical scenarios. Serum osmolarity is tightly regulated by a hormone called vasopressin. Vasopressin is also known as “antidiuretic hormone” or ADH. It comes from your posterior pituitary gland. If your serum osmolarity starts to climb too high, ADH will make you thirsty and signal your kidneys to retain water (by reducing urine output). This will help to “dilute” you, and will lower your osmolarity. The opposite is also true. If serum osmolarity is too low, your body will bring it back into range by diuresis (raising urine output). But why does serum osmolarity matter in the first place? Again, because water follows sodium. Remember that sodium concentration has the biggest impact on osmolarity in the body. Since osmolarity is a measure of osmotic pressure, water will naturally travel in your body from areas of low osmolarity to high osmolarity. So if the osmolarity in your plasma is too high, water from inside your cells will “shift” to your plasma to lower it. This can leave your cells shriveled up and dehydrated. It can make your red blood cells less effective at carrying oxygen. In general bad things can happen. Of course, the same is true on the opposite end of the spectrum. If serum osmolarity is too low, water will shift from the plasma to inside the cells. This can leave them swollen and fat, and not super-effective at their respective jobs. This paper has a pretty decent summary of the effects of osmolarity on RBC function. We need to keep it tightly regulated, because our bodies will quickly fall apart if it is not. Fluids will shift into and out of cells and may even get trapped in a phenomenon called “third spacing.” And when we administer fluids or drugs to a patient, we have to keep this in mind. With some notable exceptions (such as cerebral edema), we generally administer isotonic fluids to patients. This means that the fluid has the same osmotic gradient as our plasma. The primary fluids we administer are normal saline (NS), 5% dextrose in water (D5W), and lactated ringers (LR). Not coincidentally, these are also the fluids you will administer most IV drugs through.